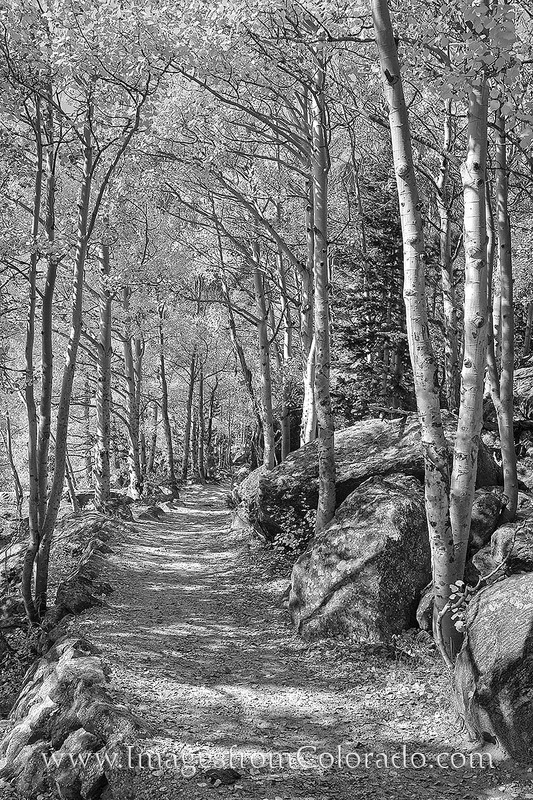 A trail leads through the Aspen in Rocky Mountain National Forest. Taken in mid October, this black and white photograph shows the aspen leaves golden and warming sunlight as morning streams through the branches and leaves. Photo © copyright by Rob Greebon.